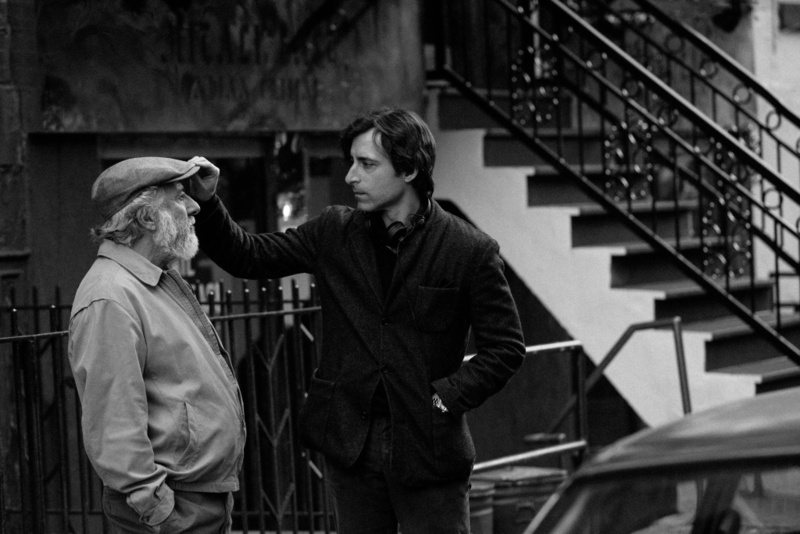 Dustin Hoffman (left) and director Noah Baumbach on the set of "The Meyerowitz Stories." When writer-director Noah Baumbach began writing stories about adult siblings and their father years ago, he found himself writing scenes of them as kids. Some of these scenes were merely writing exercises, but they evolved into his breakout 2005 film, "The Squid and The Whale." Baumbach has been fascinated with the ways that families come together and, more to the point, what breaks them apart. He returns to the genesis of those original stories with "The Meyerowitz Stories (New and Selected)." 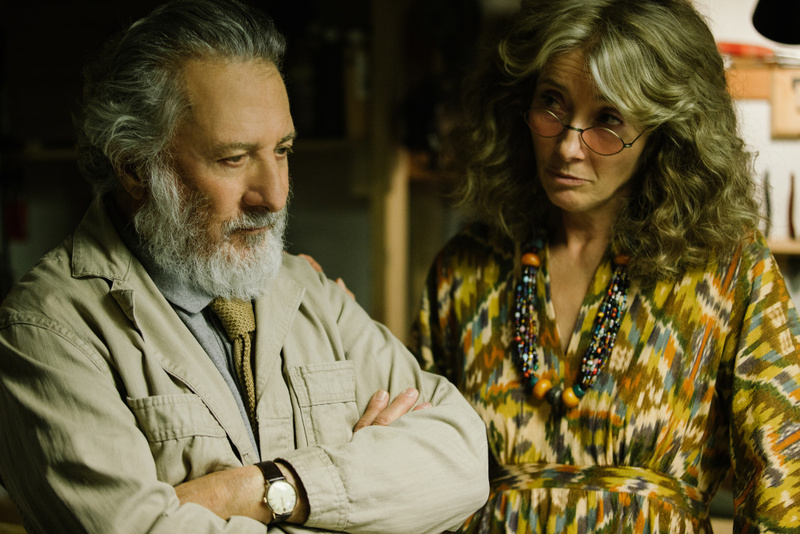 The film is almost like a collection of short stories that center around a domineering patriarch named Harold, played in a gray, bushy beard by Dustin Hoffman. Harold is an abstract sculptor who was never as famous or respected as he felt he deserved to be. His three children (from two different wives), played by Adam Sandler, Ben Stiller and Elizabeth Marvel, gather to try and come to terms with their father, their relationships with each other, and their family history. Emma Thompson rounds out the cast as Harold's current wife. Dustin Hoffman and Emma Thompson in "The Meyerowitz Stories." Hoffman's character is inspired by Baumbach's grandfather, Harold Baumbach, who was an abstract painter. He died when I was in my 20s but I grew up knowing him. He and my grandmother lived in Brooklyn Heights. We would go there often on Sundays for Chinese food dinners and we would go up to his studio, which was on the top floor, and he would show his new work, his new paintings. At this point in his career, not unlike Harold [Meyerowitz], he was painting mostly for himself. He wasn't showing anywhere. And he would sort of hang these paintings up ... I was young and couldn't judge abstract art in any way and I would be confused by it. But he would say things like, I think this one's a masterpiece. And he would sort of step away and we'd all nod. So I sort of had those visits and that kind of personality in my head when I was writing the Harold Meyerowitz character. When Baumbach spoke with The Frame's John Horn, he reflected on themes around adult sibling rivalries and how we measure success. What is the genesis of writing "The Meyerowitz Stories"? When I was trying to write what became "The Squid and the Whale," now about 12 years ago or so, I had actually started that by writing about adult siblings and their father. And then found myself starting to write scenes, even as an exercise, about them as kids, and then that sort of became the movie. It clearly stayed with me and these things kind of cycle around and they find their way back. Was there family experience for you in terms of siblings or relatives where you didn't quite understand what was happening in the moment, but as you got away from it you had a different perspective on what had [happened] and what was continuing to happen? Absolutely, yeah. I think you said it well. I think it's true when you're in it, all of the stuff feels so hot. Or you're not often, particularly with family, able to take that step out of it and say, Oh, here we go again. I always fall for this. Often, you just fall for it. In the Matthew section, Ben Stiller's character's section ... in some ways, that's the setup of it, him talking about how he's now able to sort of think differently about his father. He's taken a step back and he's able to find things that used to drive him crazy, he now finds kind of humorous and he's got compassion for it. And then of course he falls into all the same patterns with his father all over again. In some ways, I was thinking of just that ... It's like "The Godfather III," when they pull you back in. Ben Stiller, left, and Adam Sandler in "The Meyerowitz Stories." The other thing the film is exploring is the idea that I think is shared by parents: How do I be a good parent? How do I be my own self? And how do I be a good spouse or partner to a person? Maybe you can do two or three of these things at any given moment. But all three is not just the home run, but it's the perfect game and it is almost untouchable. Is that part of what you're thinking about as you're writing and making this film? Yeah, and I would add to that maybe being a good child to your parents which, as you get older, becomes more complex because you also become a parent to your parent. 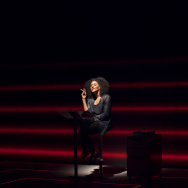 And so, yeah, I was thinking of all those things and how, consciously and unconsciously, we inherit these mythologies that our families have sort of presented for us ... In the process of trying to figure out your own self, a lot of it is unlearning things that you grew up with or things that your parents ... indirectly taught you. I had a line which I cut from the movie where [Adam Sandler's] character said, There's so many things I believed without realizing I believed them. And I think that a lot of figuring out yourself as an adult is kind of discovering that. One of the things that the movie seems to be very interested in is how people define success and how they define it in relation to others. 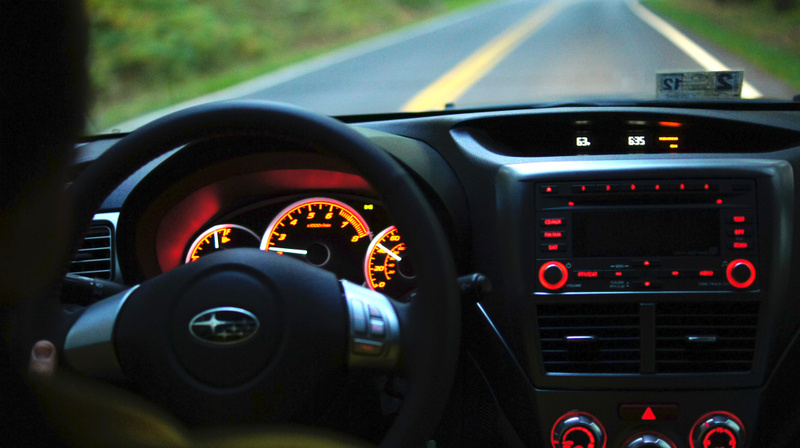 Did you find yourself immediately focusing on that idea as you're writing, and why? Yeah, it was obviously something very much in our culture ... This was a family where I felt art had kind of replaced religion in a way. So you have this artist who, by any kind of outside observation, has had a pretty successful life and career. He's had all these kids, he's taught at Bard for many years, he has pieces in museum collections, he's had public works, and he's continued to make art. But he feels like a failure because he holds himself up to some kind of fantasy, sort of cultural notion [that] if you're not having a retrospective at the Museum of Modern Art like his colleague is having, he's somehow falling short. I found that kind of tragic in a way that this is a man who can't be happy. There's always this sort of fantasy life that he's not inhabiting that is preventing him from living the life he's actually living. So then you have these kids who have grown up around that. Ben's character at one point says, We were brainwashed. He's maybe exaggerating but there is that thing — How do you de-program yourself? How do you figure out what it is that makes you happy, that makes you feel successful? 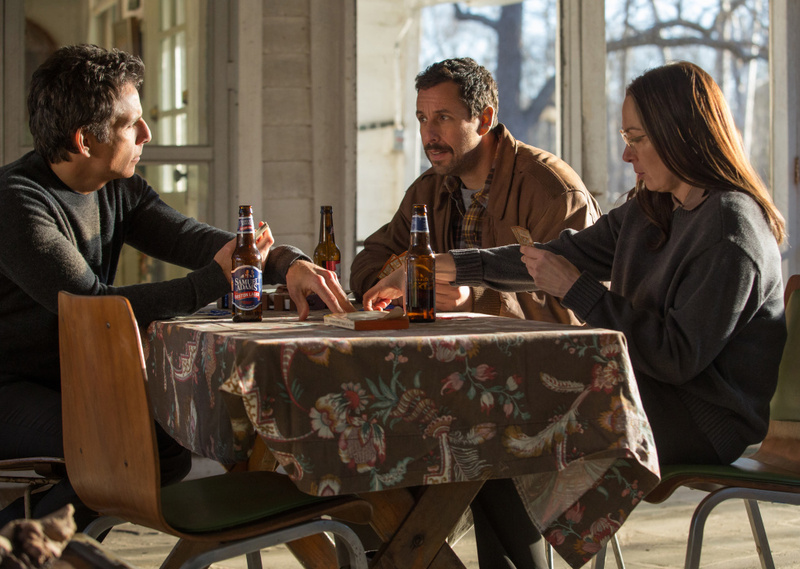 (L-R) Ben Stiller, Justin Hoffman and Elizabeth Marvel in "The Meyerowitz Stories." Is that a problem, that there are so many ways we judge how something is good? In your business, it's a Rotten Tomatoes score, it's a box-office return and whether or not you're going to go see it, and how many awards it wins. Art — if it's a film, painting or photograph — can't be judged by the way in which somebody reacts to it emotionally. It has to have some sort of score attributed to it? Right. I was thinking about that and I was also thinking about it because Dustin's character is an abstract sculptor. 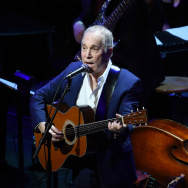 How many people in the audience are going to be able to tell how good his work is? Very few. It was something I'd thought about a bit when "The Squid and the Whale" came out. A lot of people would refer to the dad's work — Jeff Daniel's character's work — as, Oh, he's a crappy novelist, or something like that. And I thought, How do you know? You're buying into his own feelings of failure. He could be very good, he's just not successful, so he feels bad. But why do you think he's bad? So that was something I, in some ways, wanted to build into this story, which is exactly as you're saying: How do we judge these things? Is it enough to make good art or do you need this sort of outside confirmation? To listen to John Horn's full interview with Noah Baumbach, click on the player above.